I spent my next morning re-packing (again) and checking out the breakfast buffet. I made different choices this time — hot, fresh croissants, pastries, coffee and juice – and enjoyed it much better. Air Transat arranged a transfer from my hotel to the cruise terminal so I could embark on the Cuba Cruise on the Louis Cristal. I waited in the lobby, which had a fast (at least for me) internet connect of $6.00 CUC an hour, lots of nice seating, tables with electrical outlets for plugging in a laptop or tablet, and a bar (is it too early for another mojito?). My transfer bus arrived exactly at noon and I was off on another tour of hotels in Havana (along with other sights on the way). We got to the cruise terminal about an hour later and started the check-in process. Downstairs near where the bus stops, was an area to tag and leave large luggage for loading. The main check-in occurs upstairs. At the first desk, I presented my boarding documents and received my seapass card. 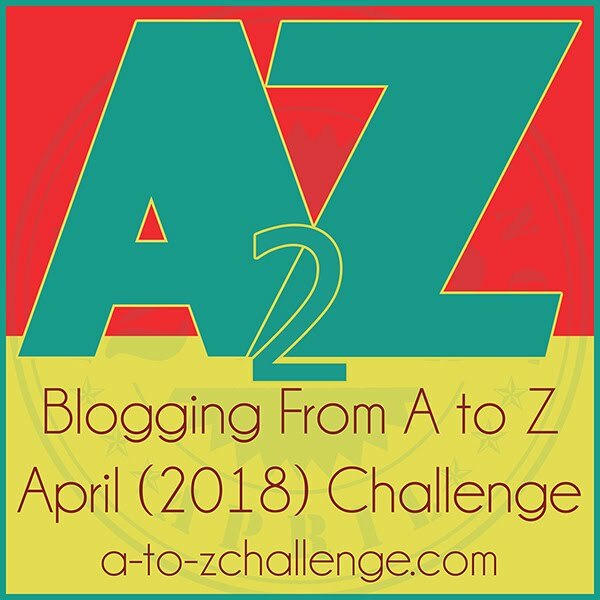 Then, Cuban medical personnel took my temperature with a neat device that looks a little like a Star Trek phaser – they just hold it over your forehead and it registers your temperature. We would see this often – at each Cuban port – before the cruise was over. Next stops include the typical scanning of people and hand luggage, immigration control and finally the pre-boarding pictures. 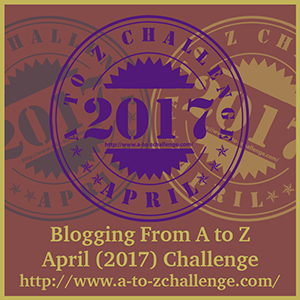 And that was it – quick and easy! I got on the ship, went down to my cabin left things in my room and heading back to explore Havana. I should take a few minutes here just to say something about the Cuba Cruise. I highly recommend this is a way to see more of Cuban than just the beach at a resort. 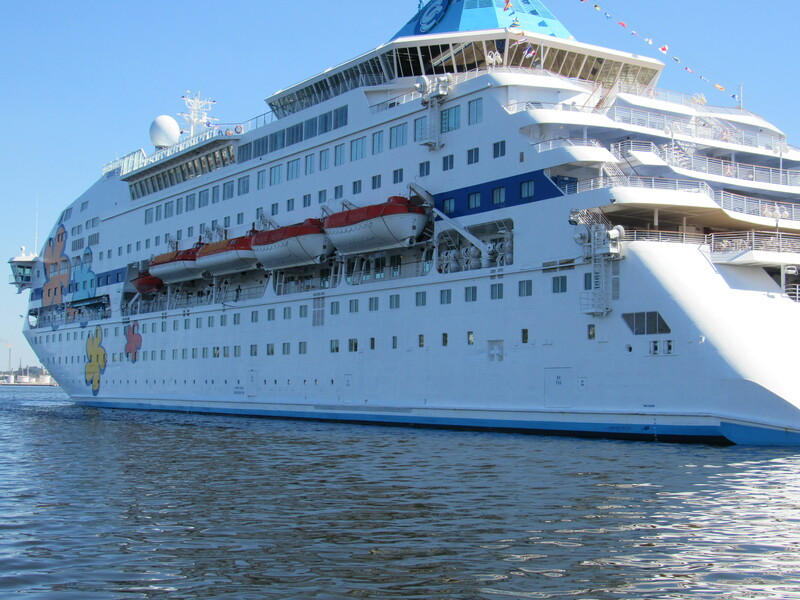 The ship is small, it only holds a little over 900 passengers, so it is easy to meet people. We had people from 23 different countries, including large groups from Germany, Denmark, Finland and Japan. The staterooms are a bit dated, but clean and comfortable. Mine had plenty of storage. The crew is amazing. I loved my stateroom stewardess and we became good friends during the cruise. The entertain staff in the main lounge is outstanding. They do full production shows every night. One night, when the sea was rough, they re-arranged a modified version of their usual show. The cruise director is everything you want in a cruise director and he easily flows from English to German to French announcements. As I continue with my adventures, there will be more on the actual cruise. 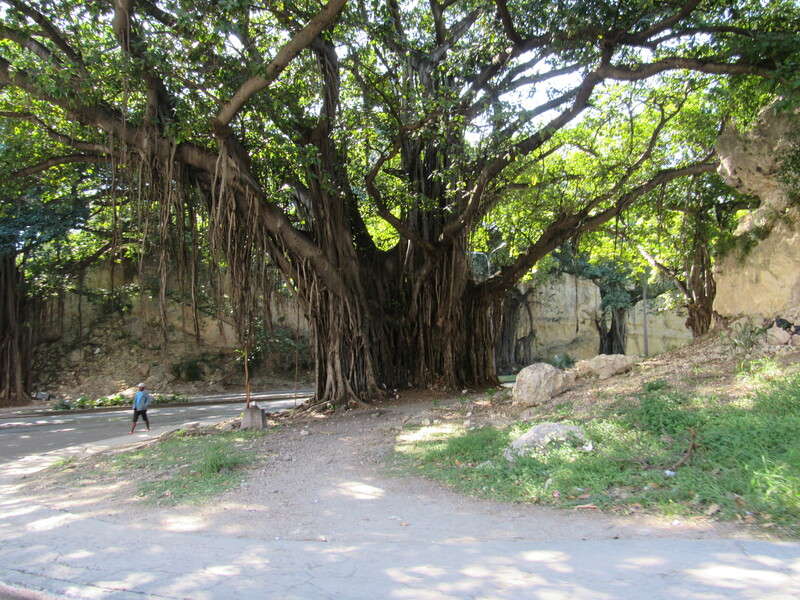 Back to exploring Havana… A friend took pictures of a statue of Neptune and I was determined to find it, and I wanted to see a few other places but not found yet. 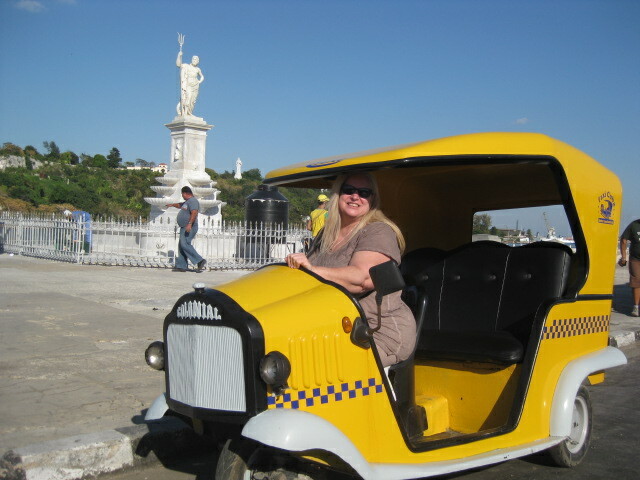 So, I headed out in search of the statue and a possible ride in a Coco Taxi. 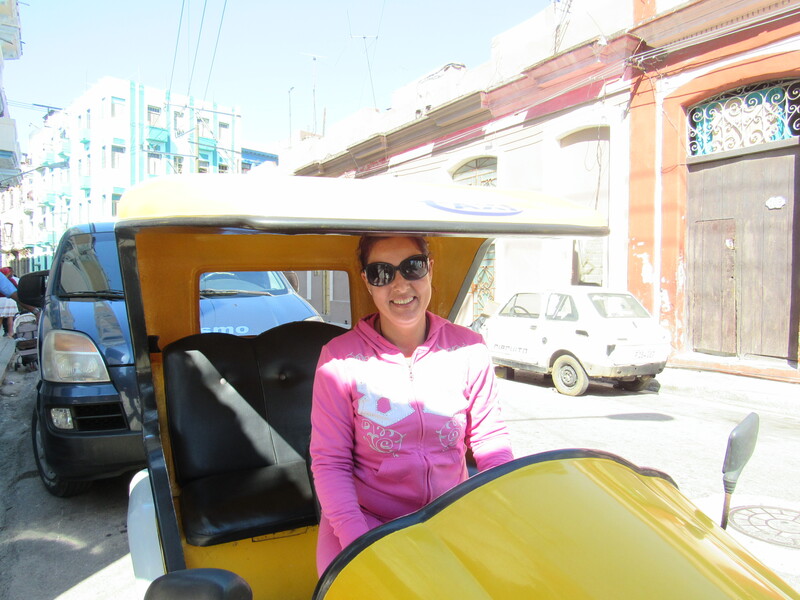 I found the Coco Taxi first and arranged for a tour with Nadia – giving her a list of my “must see” items and telling her to just fill in with things she thought were important. It was the best day ever! 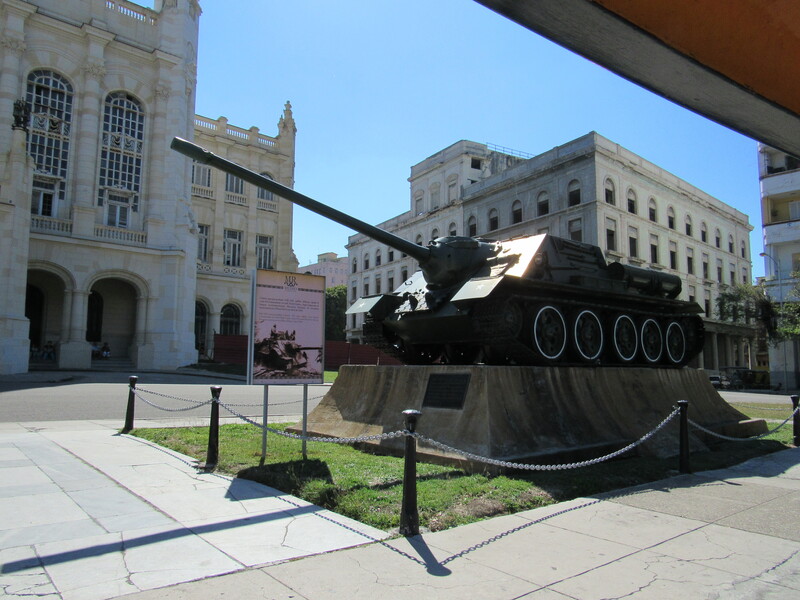 She drove me around the old town, the Museum of the Revolution, Paseo del Prado, the University of Havana, and various points in-between. 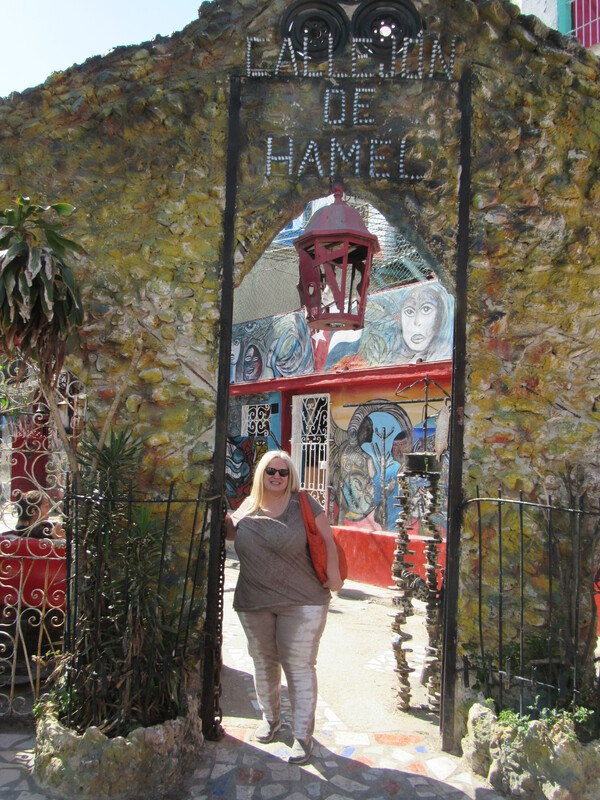 Finally, we got to one of the stops I wanted to see – the Callejon de Hamel. This is a little alleyway in central Havana. An artist, Salvador Gonzalez, wanted to help revitalize the neighborhood, so he started painting murals that depicted the Yoruba-based Orishas. Many other art projects are now part of this very colourful area. On Sundays, there is live music from various drummers and rhumba bands. This is truly a community centre. 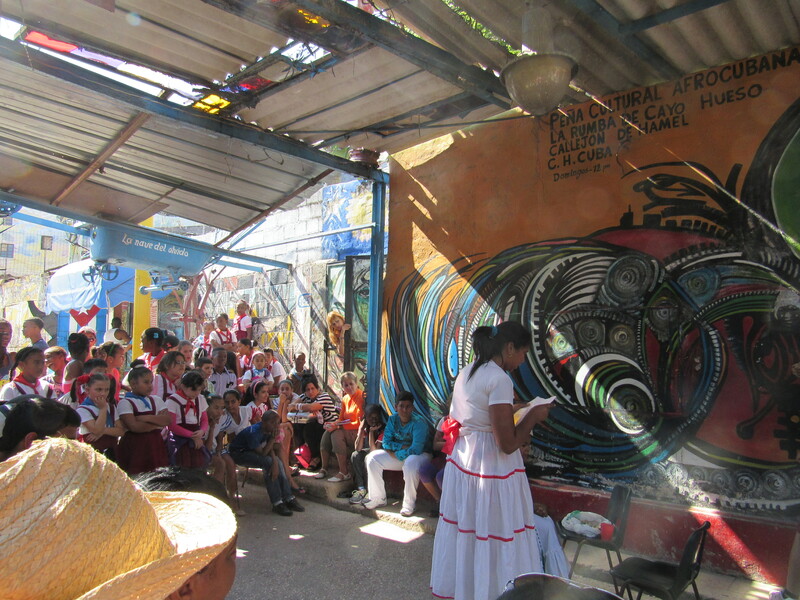 When Nadia and I got there, schoolchildren were presenting different projects through plays and music. There is also a small art gallery and shop where you can buy art and music cds. 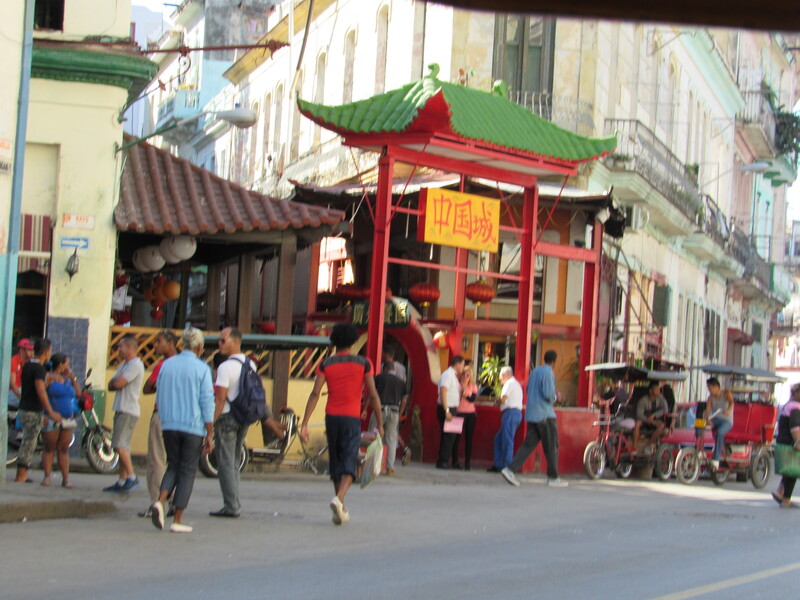 After this stop, we were off again on the streets of Havana – passing China Town, belching cars and eventually running out of gas! 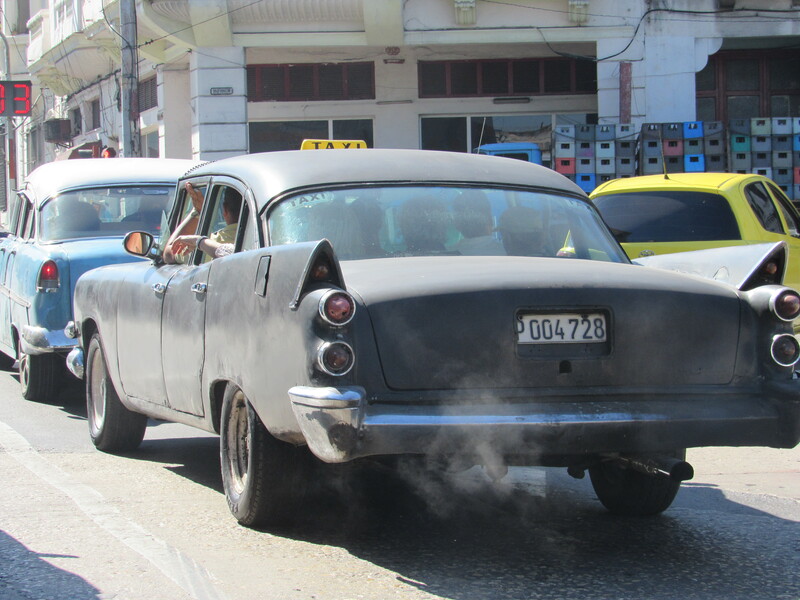 However, Nadia had a quick fix, push and we were off again (a true Cuban experience!). 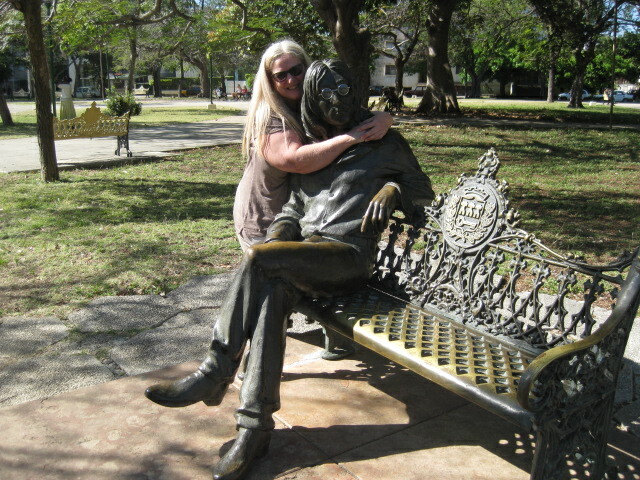 This time, she surprised me by pulling up to a small park in a quiet neighborhood where I saw the statue of John Lennon. 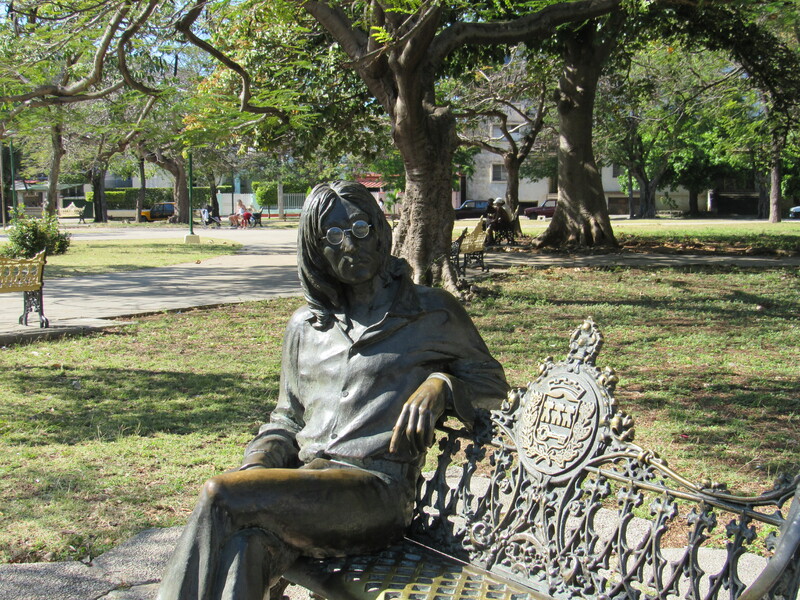 I heard about this statue – with the classic glasses that keep getting stolen (until someone came up with a unique solution). I was so excited and Nadia was impressed that I knew about this, too. So, what is the solution with the glasses? An elderly gentleman sits in the shade and, as people approach to take pictures, he gets up and reverently puts the glasses on the statue (it is also nice to give him a peso for this duty). 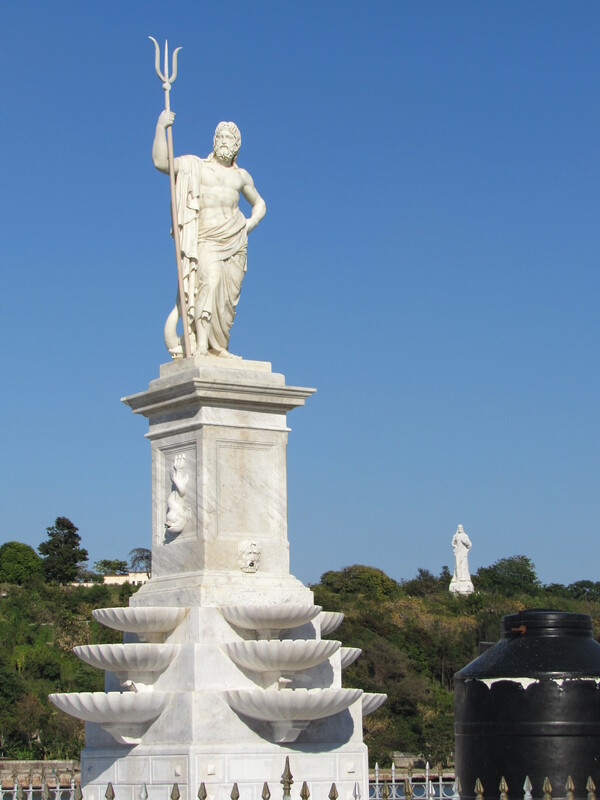 We then headed to the beginning of my journey and the statue of Neptune (remember that?). I highly recommend Coco Taxis! 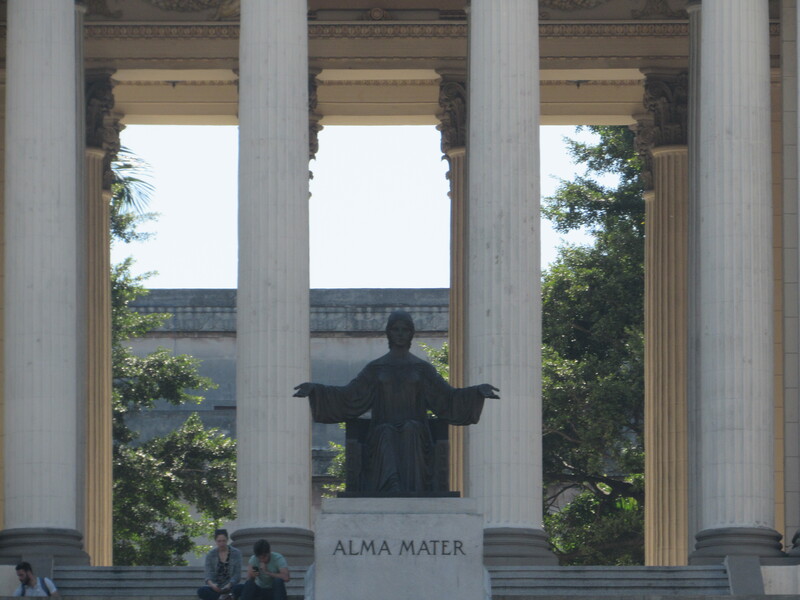 Negotiate your fees ahead of time, sit back and have a great time!